Admac Lifescences is a dedicated Oncology facility of Admac Group of Companies. 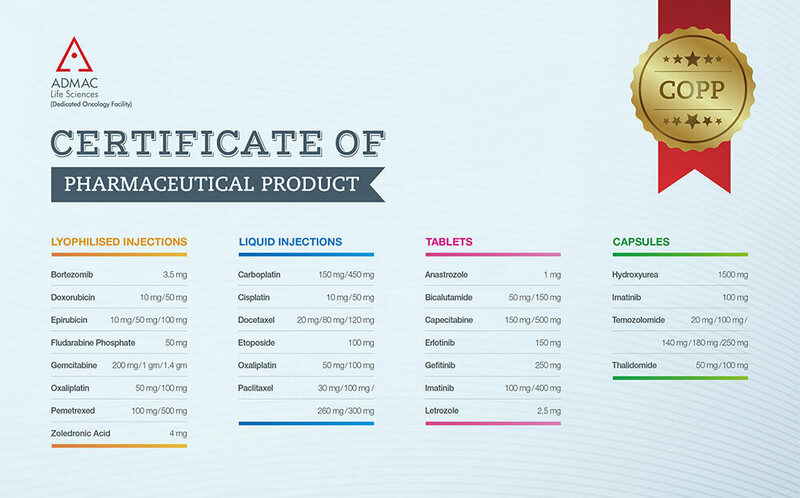 Tablet, Capsule, Liquid & Lyophilised Injection all are manufactured with precision under one roof. Admac Lifescences is the best Oncology facility in India. 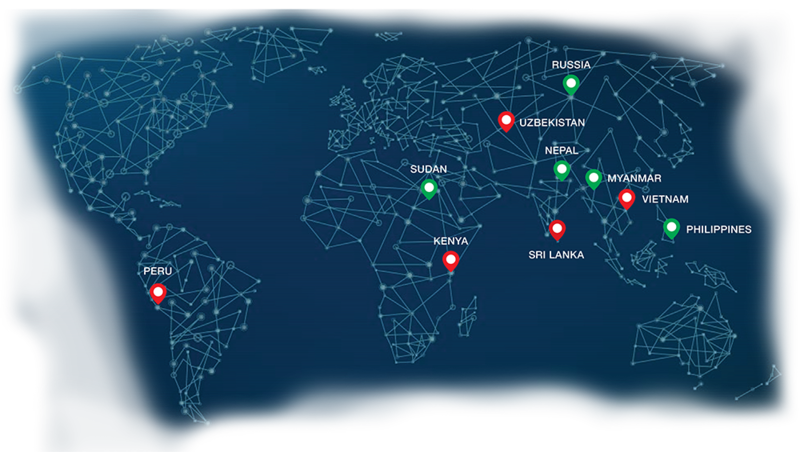 Admac Lifesciences is a WHO GMP Certified Facility. 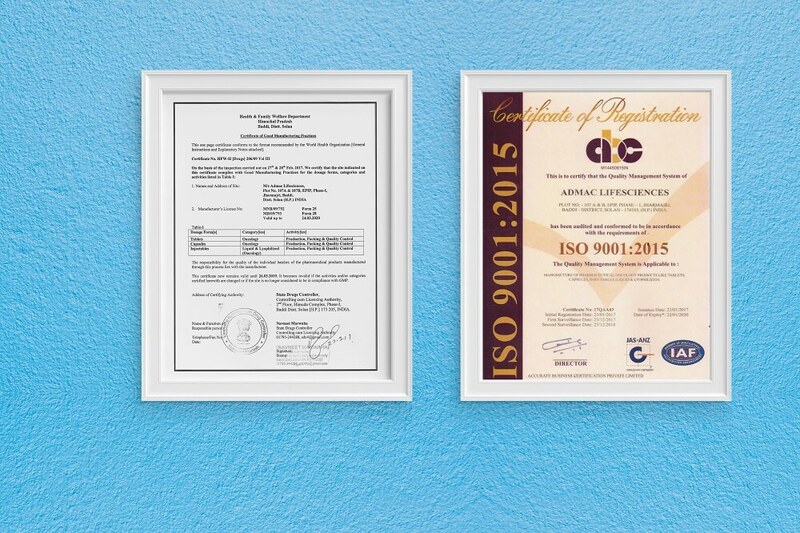 We are an ISO 9001:2000 certified company. We are endowed with a world class R&D, equipped with state of the art infrastructure, manufacturing units, chemical laboratories equipments latest & expertised management. Generated with passion to serve health and quality solutions. 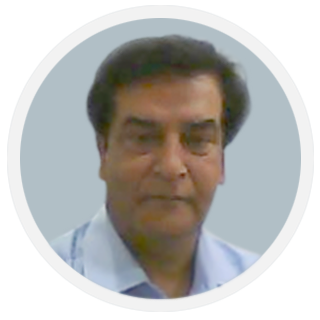 Admac Lifesciences, a part of Admac Group Of Companies is a specialty pharmaceutical company dedicated to Oncology, engaged in the development, manufacture and commercialization of pharmaceutical products at affordable prices. We, at Admac Lifesciences aim to facilitate hospitals and other healthcare organizations to maximize their potential with our innovative quality healthcare products. We provide a wide array of customized solutions right from conceptualization, to planning , designing, to project management of hospitals with optimal operationalisation and clientele satisfaction. "With in-depth knowledge of the disease and understanding of its effects, with conviction in our formulations and with faith that tomorrow will be better than today, we embark upon our journey of serving hope and support to those battling with cancer. The most active ingredient our formulation is Hope. So, we encourage cancer patients to put up a fight against Cancer by constantly reminding that “when faced with cancer: Treat, Don’t retreat." Our comprehensive oncology product basket comprises of fifty products. All our oncology products catering to cancer treatment are produced with strict adherence to ethical standards and global norms of W.H.O. GMP guidelines. To extend physical and mental support to people grappling with the challenges of cancer, we have initiated several cancer care programs. The programs are intended to keep cancer patients and their families motivated during the course of their treatment. The concept is to convince them that in this strive against cancer, they are not alone. The COPP is the legal document that declares a certain manufacturing company is legally allowed to sell their pharmaceutical product in the country they are producing. When registering a pharmaceutical product overseas, the government body in charge of approving the application will usually require a COPP to ensure that the product is being sold as a commercial finished product in the country that is producing it. Admac Lifesciences has a all its products that comply with COPP standards- which includes Lyophilised injections, Liquid Injections, Tablets and Capsules. ADMAC has state of the art manufacturing facilities. All manufacturing facilities are designed as per GMP guidelines. Being one of the fastest growing pharmaceutical companies in India, we have always invested in building modern manufacturing facilities to increase our production capacities to meet the growing demand of our products. All facilities are equipped with advanced automation systems. HVAC system is designed with Variable Frequency Drive (VFD). Programmable Logic Controller (PLC) with automatic data recording monitors process control like air distribution, temperature, humidity, auto cleaning process, security by interlocking, auto loading and unloading and Cleaning-In-Place(CIP). Our facilities have segregated de-humidified areas for manufacturing moisture-sensitive products. Stainless steel panels are used for in-sterile facility core areas. The maintenance and servicing are done from the top of a false ceiling without entering the manufacturing areas.